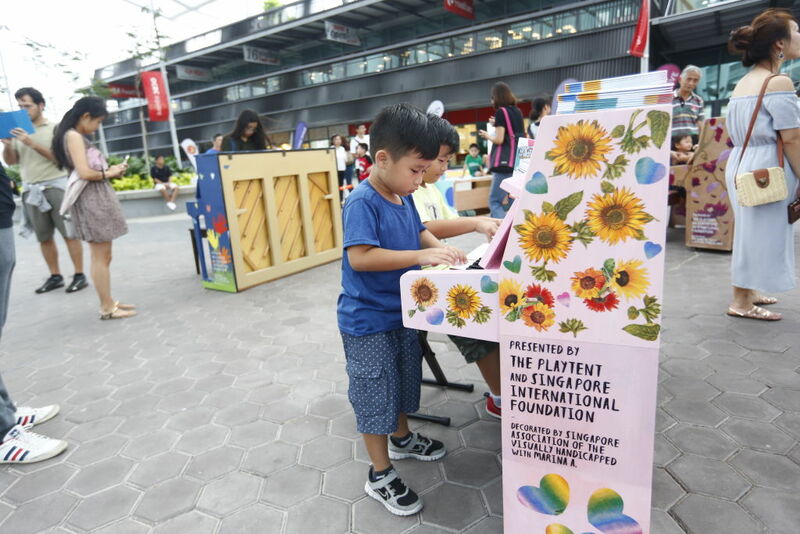 Will 25 Pianos Help Singapore Realise The Arts’ Effect On Community Spirit? 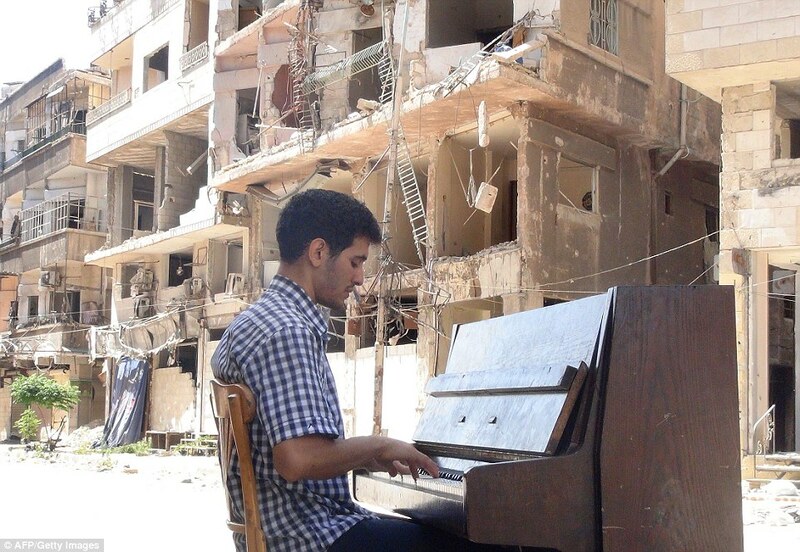 I’ve always been jealous of the pianos in other countries’ public spaces. Walking through the St. Pancras Railway Station in London, I was so excited to see a seemingly random passer-by stop by a piano tucked in a little corner. As the station’s corridors filled with the sound of keys, I wondered how exciting it would be to be able to have a similar initiative in Singapore. 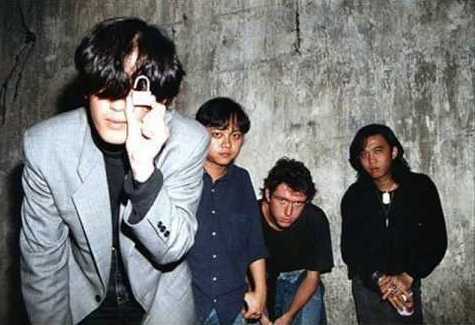 Singapore has had a rough history with music, most notably back in the 1970’s and 80’s, when the local government cracked down on rock music for its negative influences, pretty much killing most of society’s interest in music. While the government has thankfully loosened up since then and are instead trying to provide grants for people to develop their musical talents, it is still illegal to busk without a license. Performing in public comes with a hidden stigma that makes everyone wary, whether you are doing it for money or not, on threat of becoming a public nuisance. 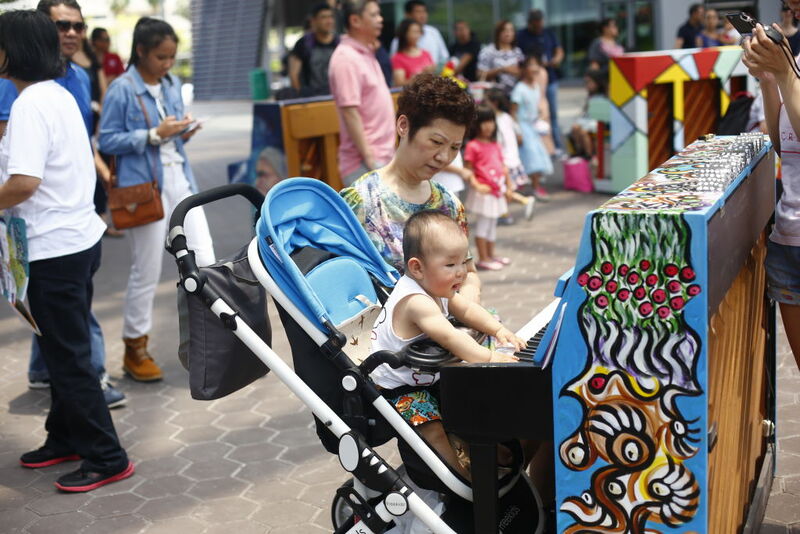 Despite this, 25 pianos have managed to make their way to various parks, shelters, and community areas in Singapore this March and will remain there for a few months! 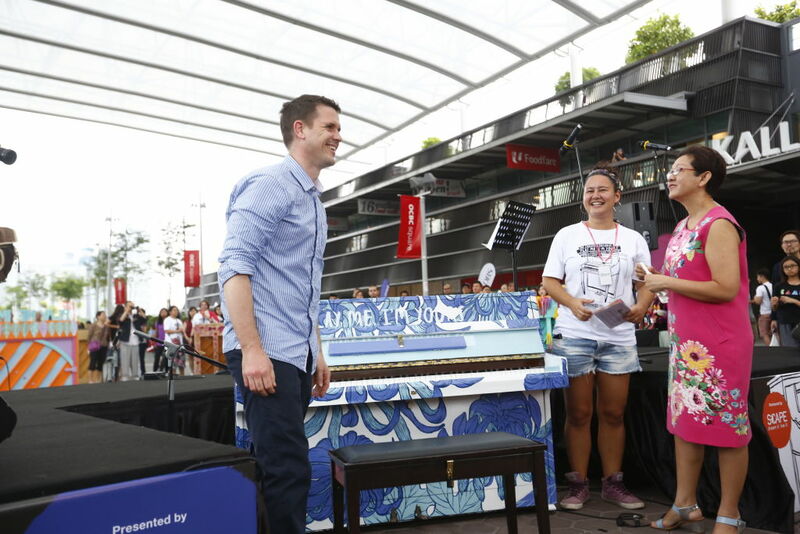 As part of British artist Luke Jerram‘s “Play Me, I’m Yours” installation, anyone can play these pianos, which are decorated with different themes, to present an interactive art display that engages the community. A total of 25 donated pianos are already in place, each designed by an artist in the spirit of enjoyment for the community. Both musicians and non-musicians are excited for these pianos; because people recognise talent and would stop to appreciate it. I’ve seen crowds form around talented buskers suddenly dissipate as the donation bucket once passed around. Anyone can enjoy these works of art, be it the piano-playing or even the piano itself. Some might even feel like joining in! Just look at these two strangers who found themselves synching on a musical level. Not just limited to uniting people within their community, “Play Me, I’m Yours” connects unknown talents and musicians around the globe. Luke Jerram came up with this touring artwork that encourages interactivity after realising that no one in his launderette was making conversation despite being from the same neighbourhood. Since 2008, these pianos have travelled across the globe to 37 countries, including France and Syria, and will be moving on to Switzerland after leaving Singapore. 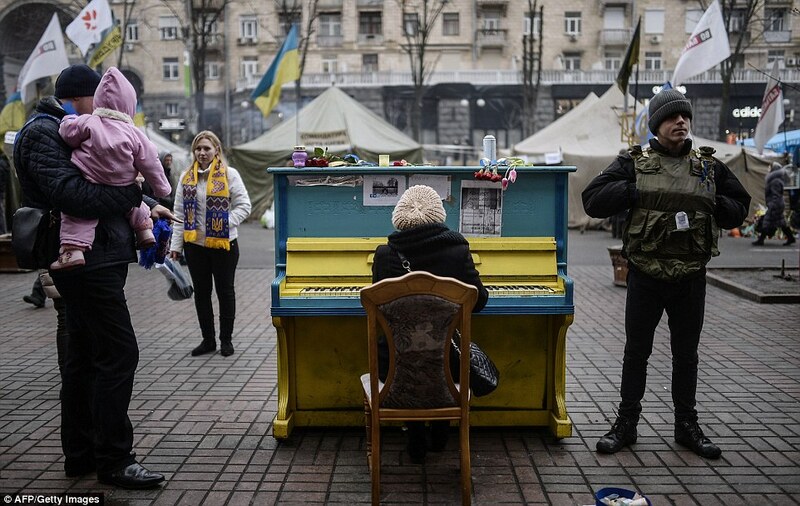 For many students, these public pianos are similar to those pianos situated around schools for anyone to play. In fact, playing is actually encouraged (yes, making a ruckus in public is now encouraged). It would be nice to see more people engage in spontaneity rather than just hurrying along, looking down at their phones. I’ve heard stories of people stopping in the streets, amazed by the talent of a random passer-by and seen videos of two people who have never laid eyes on each other suddenly jamming together in the moment. Regarding the concern over possible vandalism: Pianos do not come cheap, and it would be pity to find the piano in a sorry, unplayable state due to one vandal’s wicked moment of delight. The pianos will be placed in parks and the outdoors, which makes some piano players blanch at leaving these pianos to brave the elements. This entire project comes right at a time when everyone is wondering about the future of community spirit. Several derided additions to void decks like railings and spikes have prevented children from playing soccer, thereby losing a large reason to gather. This invisible community space is now non-existent, and actually prevents children from bonding and interaction. The pianos could act as a catalyst for conversation and change the entire dynamic of a space with its mere presence. It’s a step forward for Singapore, who has overlooked the arts and culture in favour of academics and the economy. Creating interest in the arts to help promote social change is in line with the Singapore kampong spirit. Rumour has it that there have been relationships and marriages that emerged out of strangers meeting around the pianos, and maybe this might lead to more couples (hint: hanging around a piano might be easier than going through all the hassle of Paktor!) all the while generating interest in the arts. Find out where the 25 pianos will be situated here.